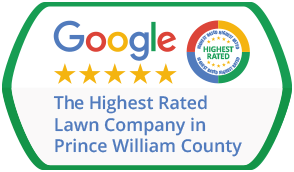 Precision Lawn & Landscape knows all about fertilization & weed control; Dale City VA citizens can vouch for that, as we have been active in this area, together with many other areas in Virginia, for many years now. Are you a new home or business owner here? Do you want your lawn to make everybody envious and to look like something people photograph for magazines? You are in the right place, as the climate in Dale City and the Precision certified technicians are here to help. Let’s look at things this way: you may be needing lawn care and maintenance, overseeding management, fertilization, soil aeration or flower bed weed control, but you don’t know yet which one or where to start and when to finish a healthy lawn care and weed control program. Let us step in. All of our services come with our personal guarantee policy, which means that if you’re not entirely content with the effectiveness of our treatments, we will come back and re-apply the procedure free of charge. Fertilization & weed control are not as simple as they seem. These are not just some herbs growing awry you can get rid of with some substances. Here at Precision Lawn & Landscape we have agronomists and horticulturists who will treat your lawn as pediatricians would treat a child: evaluate the current situation, make a thorough analysis on the strong and weak points, come up with a tailored treatment plan, even if your lawn is suffering because of diseases such as Brown Patch, or your hedges, trees, flowerbeds, and shrubs are malnourished. Fortunately, we have trained technicians who know how to swiftly detect and treat them, in order to prevent any unnecessary harm to your landscape. Precision Lawn & Landscape specialists know that fertilization & weed control is a process and not a task you finish in an afternoon, this is why, together with some of the top experts in agronomy and horticultural management in the state of Virginia have developed the best treatments on the market against weeds. We provide a wide range of interventions, from pest control, flower bed weed control, aeration, to many other specific aspects. You should know that all our fertilization & weed control substance compounds are safe and adapted to the specific conditions of the Dale City area. We only plant top quality grass seed mixes, nurture your lawn with essential fertilizers, operate specialized equipment, and work with custom blended weed controls. If you’re looking for above top quality, you found us. Contact us today and receive your free estimate. We look forward to finding out what we can do for you and your lawn!